is the only aftermarket exhaust manufacturer in North America with the capability to combine industry-leading coverage with a direct fit OE-style replacement, 100% structural , which provides over three times the average lifespan of competitors' aluminized replacement mufflers. Quiet-FlowSS is available for a vast majority of top-selling domestic and foreign-nameplate applications. 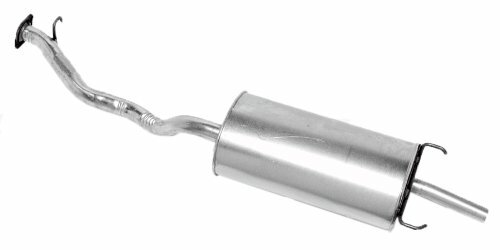 In addition to 's renowned precision fit, superior flow, and OE-style sound, these mufflers feature 09 stainless steel heads, shell, bushings, louvered tubes and partitions. 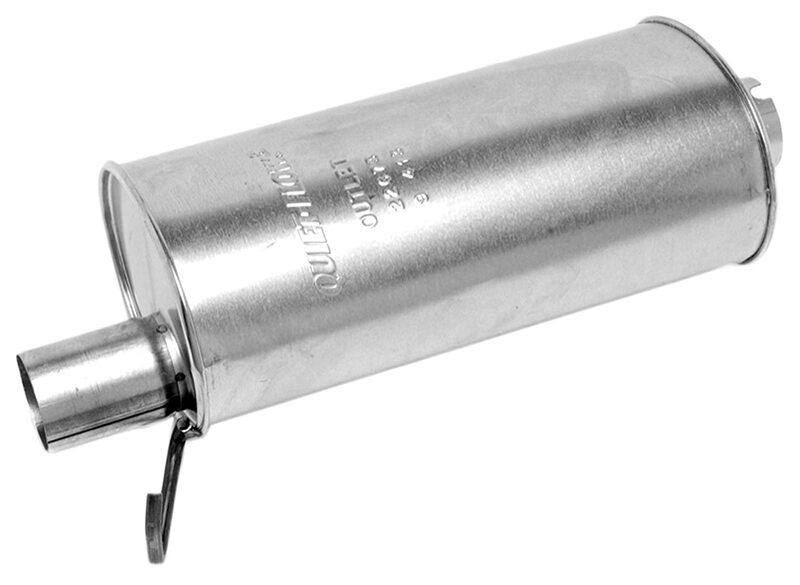 Quiet-FlowSS mufflers have a limited lifetime warranty and a 90-day Safe and Sound guarantee. See www.walkerexhaust.com for warranty and guarantee details. Seems to be an exact replacement for a 98 GM 1500. I sounds like factory muffler. 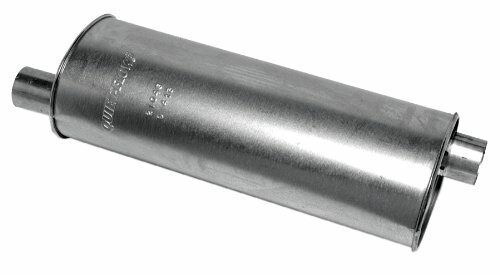 Locally, a similar muffler is $175 without installation. At the time of writing this, it has been in use for at least 1 year. The heat shield has stayed attached.The inlet and outlet tubes have not wallowed out. Good fit for k1500, and quiet to boot. 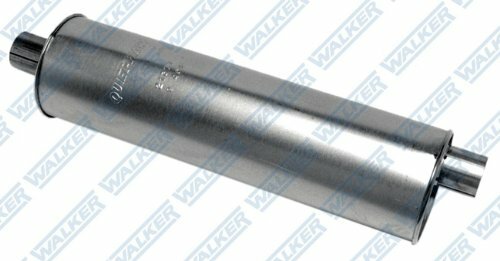 I would recommend a intermediate and tail pipe from Walker also. Go to their website for part #. Cant testify for longevity, I'll update this sometime. First time using a walker stainless muffler. I have been disappointed in the past with there standard mufflers. They have lasted no more then 2-3 years. We will see how long the stainless muffler last. It does not appear to be completely stainless. Follow up: Well 4 years later and muffler is rusting out. Obvious that it is not all stainless steel. walker aluminized tail pipe rusted out. Amazing that OEM manufactures can make an exhaust that's lasts but aftermarket manufactures cannot. Same size, fitment, and sound as the original. Buy the intermediate pipe, tailpipe, with the muffler. they all rust out from the inside out. Two clamps and a good channel lock priers to remove the rubber hangers and you can do the job in less than one hour.